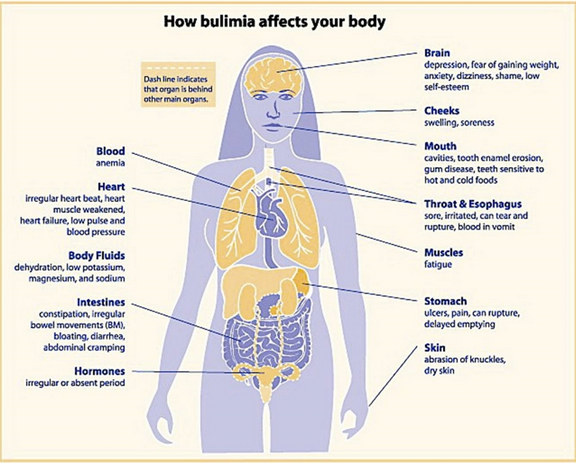 Bulimia nervosa: an emotional disorder characterized by a distorted body image and an obsessive desire to lose weight, in which bouts of extreme overeating are followed by fasting or self-induced vomiting or purging. 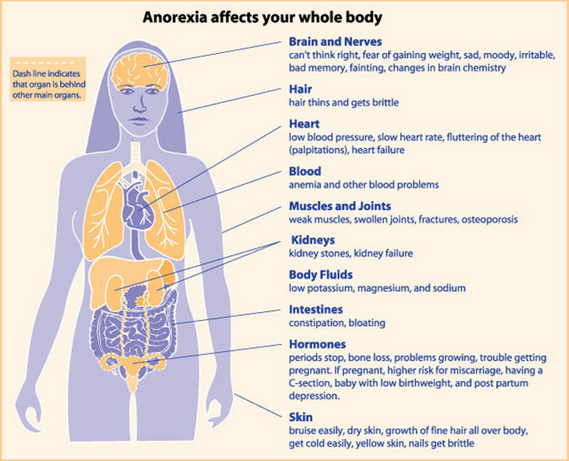 Anorexia nervosa: is an emotional disorder characterized by an obsessive desire to lose weight by refusing to eat. Generally, the recovery goals of an eating disorder treatment is to restore the person to a healthy weight, treat any psychological problems related to or coexisting with the disorder, and reduce behaviors or thoughts that contribute to the eating disorder. Treatment must address all aspects of the disorder, including the psychological side.